Dr. William H. Nutt, PT, DPT is a Doctor of Physical Therapy specializing in outpatient rehabilitation, with a focus on orthopedics, sports injuries, and manual therapy. 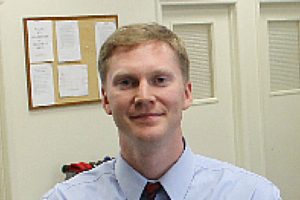 Will is the Clinical Site Director at ACI Physical Therapy in Roxboro, North Carolina. Will offers a wealth of clinical knowledge and skills as well as a passion for delivering quality care. He uses a patient-centered, outcome-focused approach to help patients of all ages with a variety of conditions. His professional expertise covers a wide spectrum of diagnoses, including musculoskeletal pain and injuries, post-op recovery, balance, gait, general weakness, postural problems and more. Will holds a Doctorate of Physical Therapy degree from Elon University. He also earned a Bachelor of Science in Exercise Science from Concord University, where he played NCAA Division II football in the Mountain East Conference. Hailing from small town Ohio, Will is dedicated to providing excellent physical therapy to the residents of Person County and Caswell County. He is very involved in the local community through the Roxboro Chamber of Commerce and the Roxboro Jaycees. He also serves on the board of the Friends of the Person County Senior Center. Prior to joining Roxboro Physical Therapy, Will practiced in an outpatient orthopedics clinic in Wilmington, North Carolina. He completed clinical internships at two regional hospitals and two outpatient physical therapy clinics – including our affiliate, Danville Orthopedic & Athletic Rehab (DOAR).